A few weeks ago I had to replace the transmission in my pickup truck. There seemed to be very few videos or instructions available on either the transmission or the replacement process. For those of you who might want to rebuild your 45RFE transmission, I compiled and posted these videos. They are quite good and really explain what is going on in this model transmission. The series then goes into changing out an evaporator, but I went ahead and included the whole series for you. 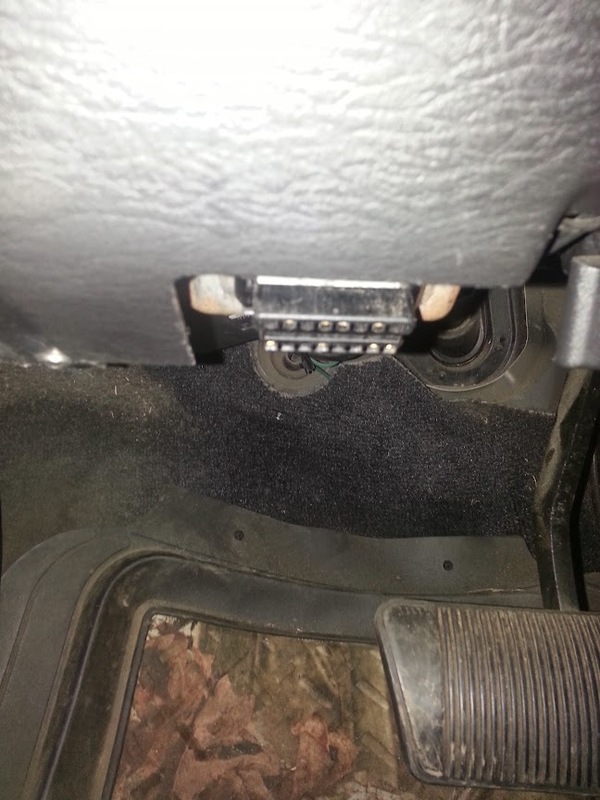 This entry was posted in Miscellaneous and tagged 45RFE, dodge transmission, ram 1500 transmission on May 28, 2015 by Woodsbum. The battle with my truck over fuel mileage, power, shift points, and the like has been waging for quite a while. At one time I was getting around 10.7 mpg on average. Of course it is a full sized truck with 35 inch tires, but still…. 10.7 mpg? To help out with my fuel economy and power I have done quite a few things to my truck. I have installed a cold air intake, different exhaust, rebuilt the top end on the engine, upgraded transmissions, redone my front and rear differentials, blah, blah, blah…… Finally, I decided to go forth with the whole Superchips thing. 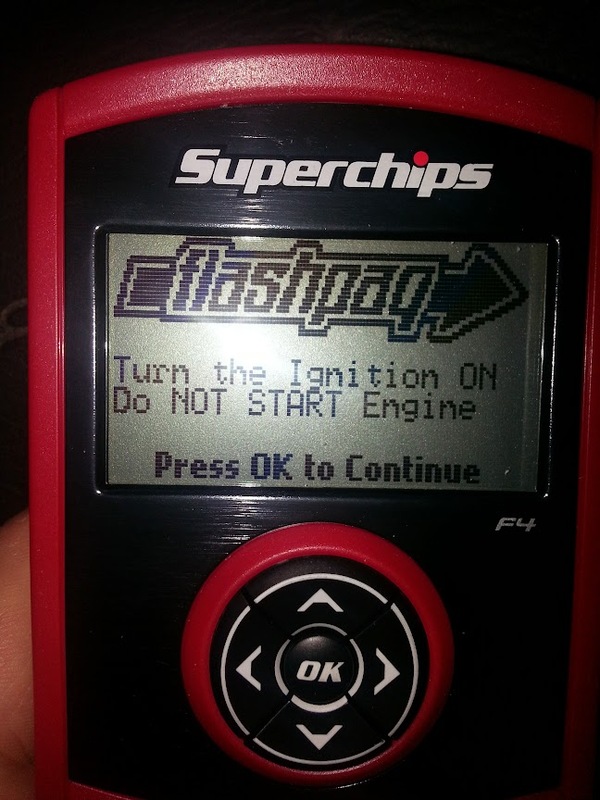 I decided to go with the Superchips Flashpaq tuner. It allows for several different tunes to include performance, towing, standard fuel, and gas mileage. 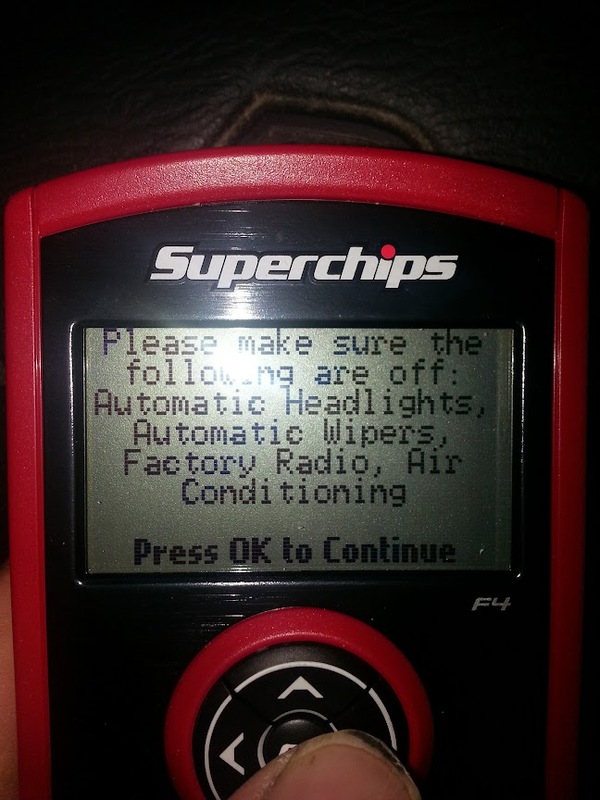 It also has options to allow me to fix my speedometer issues associated with the 35 inch tires I run on my truck. It will not work the first, second, or third times. Reboot your PC with the device connected for it to actually allow the software upgrade to succeed. I tried all sorts of other “rituals” that did not work. 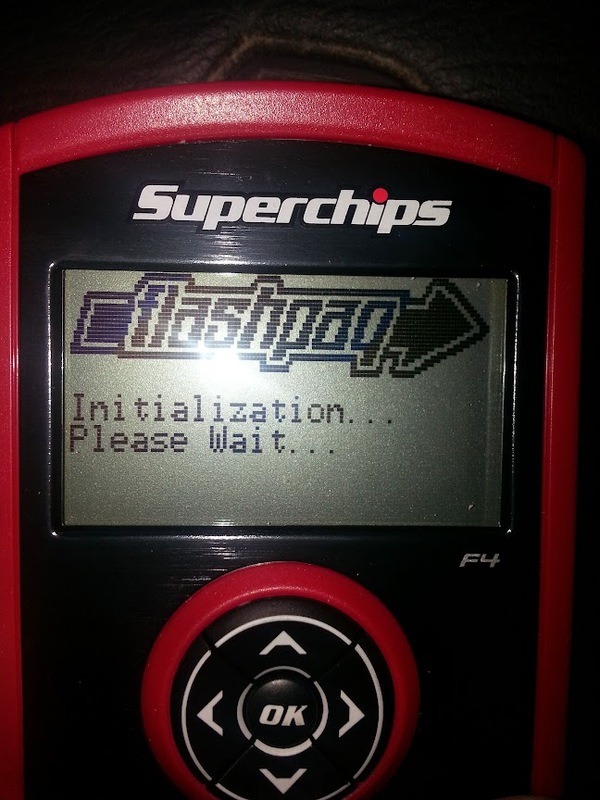 Only the reboot with the Flashpaq connected seemed to work correctly. Hello Windows 98. Don’t expect to do this in any sort of quick or timely manner. The first time that the upgrade took place (successfully) the process took around 15 minutes with an i7 processor and 16 gb of memory. Don’t expect the actual programming to be anything but boring and long winded. It is common for the tire size programming to not work. It has something to do with ABS that doesn’t throw a code, but is always broken. That was what I got as an answer from Superchips Tech support. Just saying what I was told…. 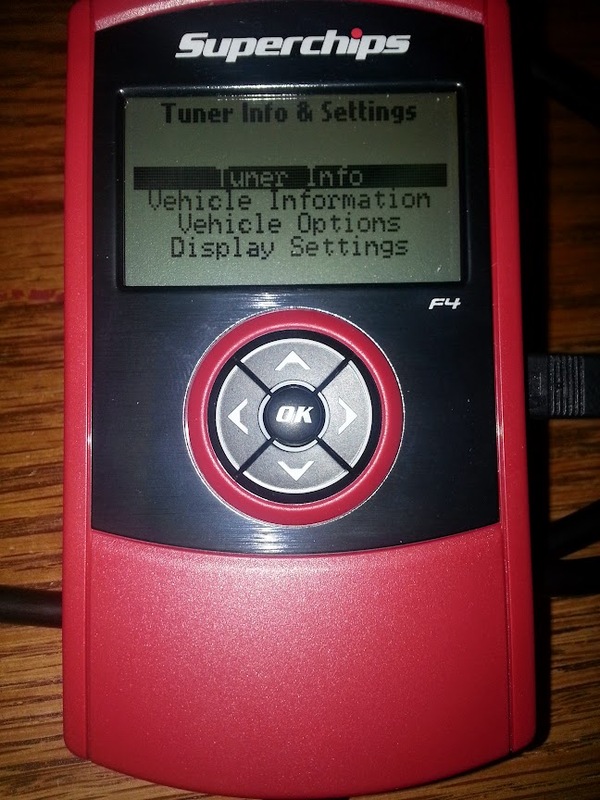 The device just plugs into your ODB II port under your dash and then you follow the on screen prompts. When you first plug in the programmer, you will see this screen. After you go through all the prompts and options, you get the opportunity to see this sequence NUMEROUS times. Love this screen because you will see it a lot. 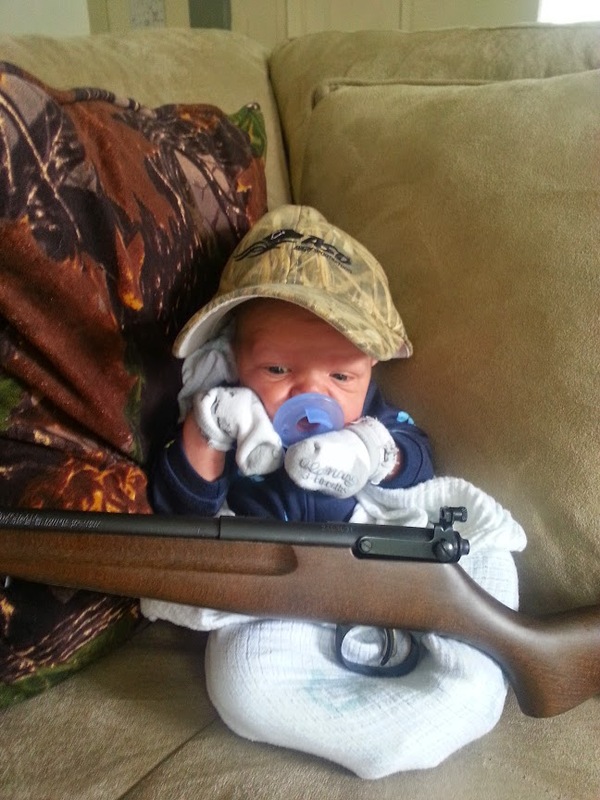 Nothing to see….. Wait some more. As for results, my truck ran a WHOLE lot better and smoother on the 87 octane tune. I will be messing around with the various 91 octane programs soon, but so far I think it was worth the price. The only thing I see for mpg, however, is an increase of about .4 mpg. This isn’t very much, but is better than nothing. The tech people said that I should mess around with the different tunes and fuels to figure out what the magic formula for my truck. They said that each vehicle is different so there is a lot of trial and error. 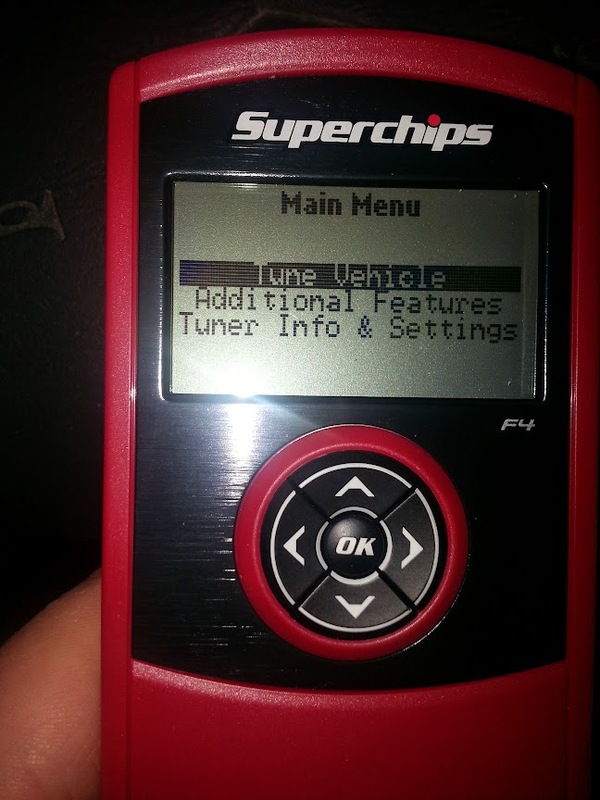 My final conclusion is as such: If you are doing upgrades to your vehicle, it makes sense to just get one of these tuners. If you don’t there will be some point where it goes from “nice” to “required.” Might as well get it and use it from the biegining. 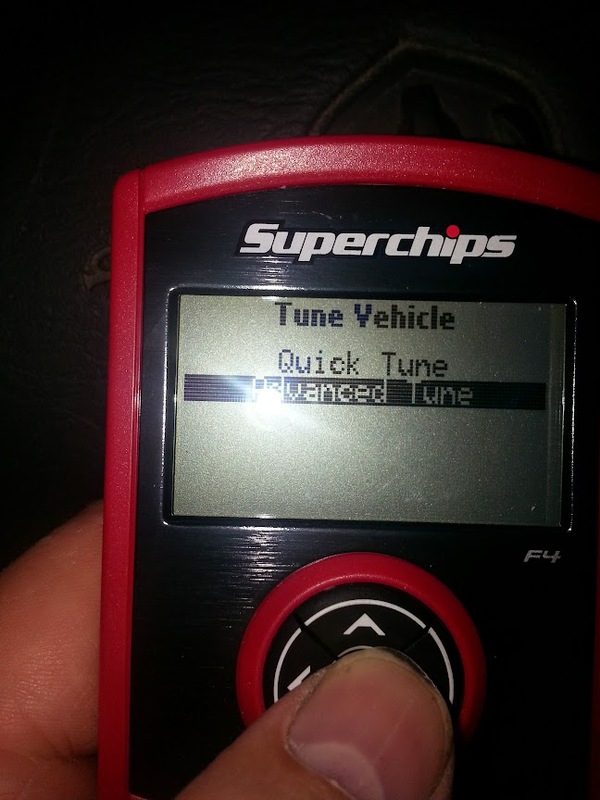 This entry was posted in Miscellaneous and tagged car tuner, car tuning, Flashpaq, Superchips, truck tuner, tuner, tuning on May 22, 2015 by Woodsbum.